UIW Theatre Arts majors are encouraged to study abroad. Theatre Arts students can take advantage of various short term trips by the University, or spend a semester abroad. 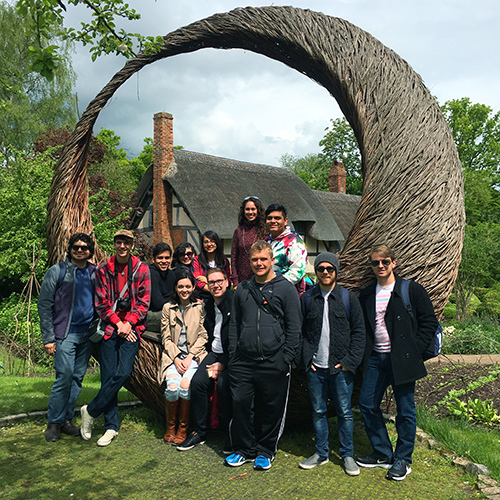 The University of the Incarnate Word Theatre Arts Department has an exchange agreement with Toi Whakaari O Aotearoa; The New Zealand School of Drama. Toi Whakaari is the national conservatory training school for the dramatic arts in New Zealand. Exceptionally talented performers who have demonstrated excellence in class work and production can apply to spend a semester at Toi Whakaari.